Starring world-renowned actor and Oscar-winner Kevin Costner, who serves in the lead role, Yellowstone is written and directed by critically-acclaimed, Oscar-nominated screenwriter Taylor Sheridan. 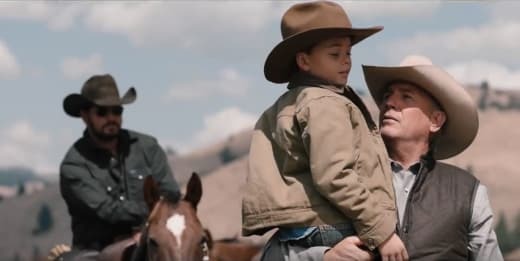 The trailer gives us a much better look at what to expect from the series, and it's a family at war with each other as they fight everyone who wants to take away from them what they've fought hard to sustain -- the largest contiguous ranch in the United States. Yellowstone stars Costner as John Dutton, who controls the ranch, which is under constant attack by those it borders -- land developers, an Indian reservation, and America’s first National Park. Now a grandfather who would rather spend his time making up for past mistakes, he's instead forced into new sins that he fears more than anything he's ever done as he hopes to keep the life he loves from disintegrating before his eyes. It is an intense study of a violent world far from media scrutiny -- where land grabs make developers billions, and politicians are bought and sold by the world’s largest oil and lumber corporations. Where drinking water poisoned by fracking wells and unsolved murders are not news: they are a consequence of living in the new frontier. It is the best and worst of America seen through the eyes of a family that represents both. Just listen to the dialog written for the cast. There are some great quotes coming from the trailer, so you can imagine what lies ahead when the entire saga begins to play out before us. There is also a lot of star power on board to bring the story to life. 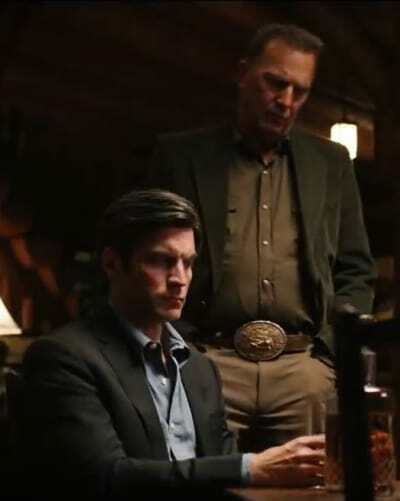 The impressive cast list for Yellowstone includes Wes Bentley, Kelly Reilly, Luke Grimes, Cole Hauser, Kelsey Asbille, Dave Annable, Danny Huston, Gil Birmingham, Josh Lucas, Jefferson White, Gretchen Mol, Jill Hennessey, Patrick St. Esprit, Ian Bohen, Heather Hemmons, Michaela Conlin, and Denim Richards. Yellowstone premieres on Paramount June 20th. Drop us a comment below with your thoughts on what we've seen so far!